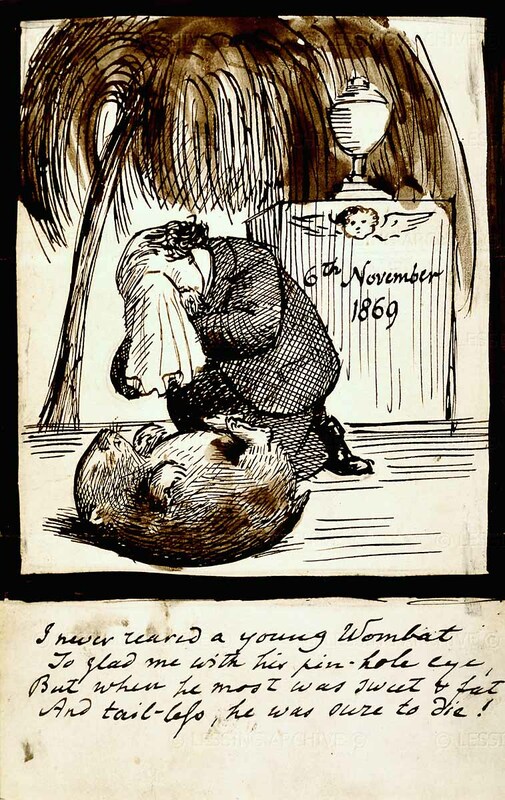 The drawing depicts Dante Gabriel Rossetti lamenting the death of his second wombat. Mary Hibbs (pen names: Mary Hammond and Sandra Mann) made me aware of the image and of the possibility that the Beaver in Lewis Carroll’s The Hunting of the Snark could have been a reference to Rossetti’s wombat. In The Hunting of the Snark, the Beaver was the Bellman‘s pet and became the Butcher‘s friend. Can anything from the real world be associated with that Beaver-Bellman-Butcher triple? This might expand the Snark matrix, a matrix with elements from The Hunting of the Snark in its rows and elements from the real world in its columns.